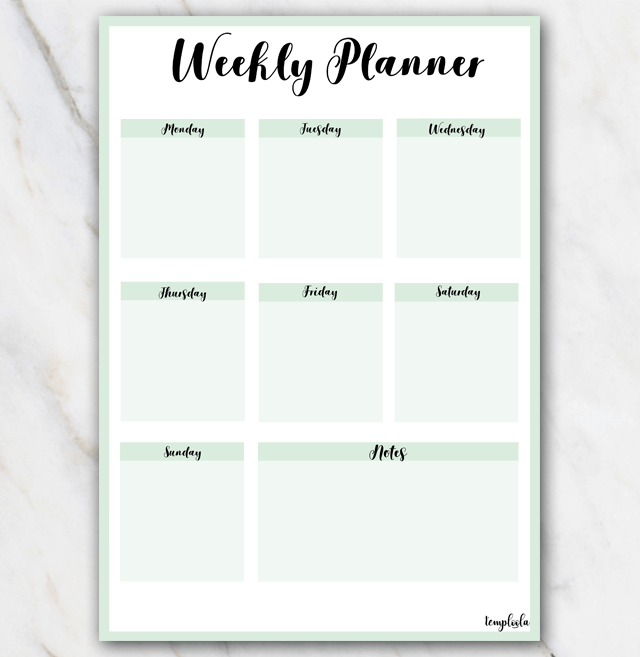 Very lovely printable weekly planner in mint green colors and portrait size. Next to this cute and lovely mint green weekly planner, there are also weekly planners in other colors and other formats (e.g. landscape), you can find them right here.